Bank of America announced its Q3 results earlier today. The bank reported a three-fold increase in its third-quarter loss to $232 million, in a revision that added legal costs related to global investigations into foreign exchange trading at major banks. 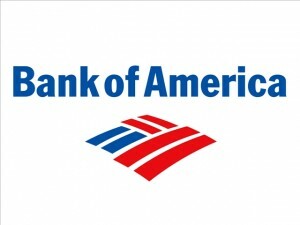 Bank of America shares were down around 1% at $17.23 late in US trading session on Thursday. As previously reported by Forex Magnates, regulators are investigating allegations that dealers have colluded and manipulated key reference rates for various asset classes including foreign exchange since 2006. The additional charge expanded Bank of America’s net loss to $232 million, up from a reported net loss of $70 million announced on October 15th. Bank of America revised its results adding $400 million to its legal reserves to cover expected settlements related to foreign exchange, adding that it was in advanced discussions with U.S. regulators to resolve matters related to the business. In the quarterly report, Bank of America said it was being investigated by government authorities in North America, Europe and Asia but did not disclose which regulators were specifically involved. Britain’s financial regulator, the Financial Conduct Authority (FCA), is admittedly having talks with six major banks including Barclays, RBS and HSBC over allegations of collusion and manipulation in the foreign exchange market, setting the stage for a group settlement estimated in the $30-$50 billion range. JPMorgan, HSBC, Royal Bank of Scotland (RBS), UBS and Deutsche Bank have all admitted to setting aside additional funding and all expect proceedings to drag on to at least 2017. Last month, Citigroup announced the bank had set aside an additional $600 million to cover legal expenses in Q3 due to “rapidly evolving regulatory inquiries,” while also disclosing that it was subject to foreign exchange market investigations. Deutsche Bank’s litigation expenses have exceded €7 billion since 2012. Bank of America also lowered its litigation-related loss estimates to $3 billion from $5 billion, over and above the sum already set aside.